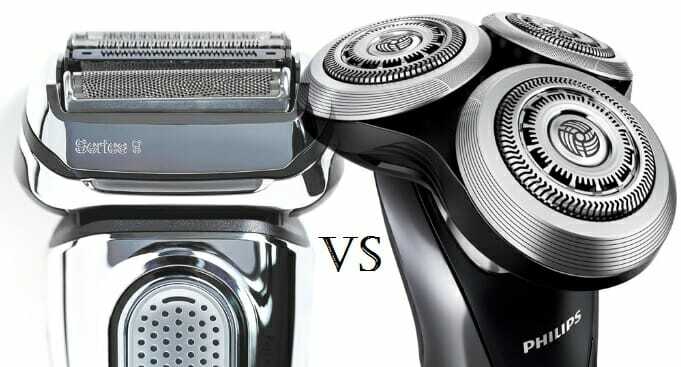 Shavers Ultimate Battle: Rotary vs Foil Shavers Which is better? Looking for a new electric shaver? If so, do you know which one to buy? A rotary? Or maybe a foil shaver? You have probably searched online already and still don’t know what to do. The reviews are mixed, and both are not very cheap. Comparing Rotary vs. Foil Shavers. If you are confused and still don’t know which one is worth the money, don’t worry, this article will provide you with enough information so that you can end up with the best decision. First of all, investing on an electric shaver is a smart decision, while cartridges only hold up for a week at most, an electric shaver can last up to 20 years. It’s not long ago where shavers were looked down on; people were never actually satisfied with the results, their skin felt rough and unclear. That’s true; electric shavers didn’t start off well. But, now, many companies came up with amazing ones that showed better results than all the cartridges out there. That’s why most men are choosing electric shavers now. They’re money savers, quick and very efficient. Many things have to be considered before buying an electric shaver especially if the skin is susceptible and easily damaged. Personally, if I’m putting money on something I’d rather it holds up and lasts for a long time. Buying cheap things will only end up with those things breaking quickly or hardly working. How Do Foil and Rotary Shavers Work? The difference is first of all in the motion. While the foil shaver works on a straight line where you usually go up and down to trim the hairs well, the rotary shaves in a circular motion. Working clockwise, the latter looks like a set of rotating disks. Well, let go back in time for a bit. The first shavers ever made were foil, in 1923. The Canadian Jacob Schick invented them. They became popular and remained that way till now. The best foil shaver must be the Braun one, series seven 790cc-4. We chose it,and so did most men that use foil shavers because it’s the easiest to use and the one that shows the best results. It’s called foil because that’s what covers the exterior of the blades. The foil is chosen on purpose to protect the skin. The blades oscillate in a back and forth motion. Their only drawback is that because of that movement; it’s hard to reach the contours of the face. Between those two, if your facial hair is stronger, you should use the foil design because it’s more suited for longer hairs. Why Go Electric and Not Stick with Razors? Electric shavers rise to their cost, no need to buy blades for them. They go over all areas on the face and fit all facial contours. You won’t need to shave the same area twice; one time does the job. It’s faster and less dangerous. Rarely can you cut yourself with an electric shaver. Plus the electric gives a smoother and less irritated skin than the razor. If you choose the right hair clipper, you’ll end up with a clean and perfect shave in a short time. Though electric, the electric shavers are designed to be waterproof too. So, it’s easy to get rid of any hairs,or cream stuck on the blades. If you are looking for a better solution, add to your budget a bit more and buy a self-cleaning cordless shaver. The Foil one has a more protective blade because of the foil cover, it’s better with long and thick hairs,and it’s effortless and straightforward to use and clean. The general opinion online is that electric shavers are definitely better and more practical than the usual razors. They cost less money in total compared to their counterpart. They don’t consume much electricity so don’t worry about the bills. They are quicker, they are safer, and they show better results. Thinking about it, in no time, no one will be using razors anymore. It doesn’t matter when or how, whenever you need a quick and a clean shave, you won’t be buying new blades,but you’ll be using the electric shaver,and you’ll be happy with your choice. Whether you wish to get rid of that 5 o’clock stubble or your 3-day long beard, electric-shavers will be able to get you that fresh, clean look in mere minutes. I like things to be done quickly and right at the same time. I only find this combination using an electric shaver. If you too want a simple usage and a good shave, then buy it too. 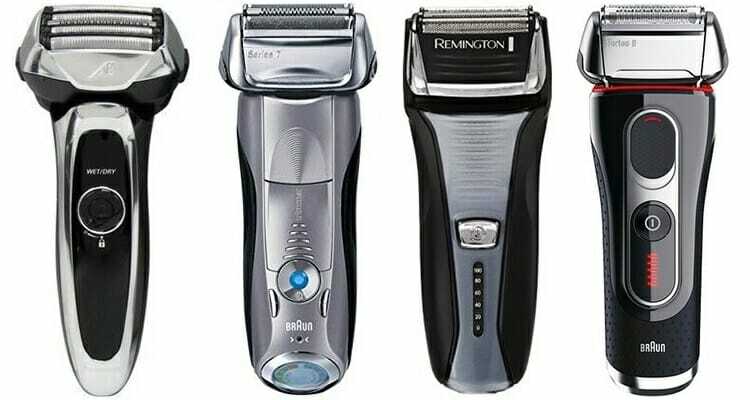 It might look expensive at first, but what you spend on razors in total is far higher than the electric shaver’s price. Plus, if you cherish your skin and want to keep it at its top, then it’s what to go for, no more blisters bumps or after-shave pimples. I hope this article was helpful. If so tell us about it in the comments. Write us about the electric shaver experience and your personal opinion too.